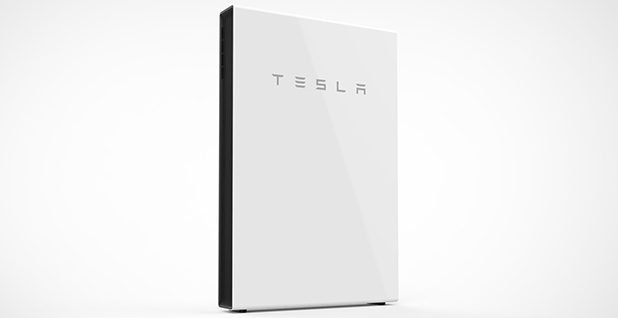 Home batteries like the Tesla Powerwall could spike greenhouse gas emissions significantly unless current policies governing the electrical grid change around the country, according to a new study. The findings in the journal Environmental Science & Technology run counter to the conventional wisdom that energy storage is inherently a "clean" technology. That's not always the case, and batteries on the market today could make it more difficult to address climate change in the short term, according to researchers at University of California, San Diego. "While the increase in home batteries deployment is underway, we need to work on multiple fronts to ensure that their adoption is carbon minded," the paper states. The study advances earlier research by examining the impact of widespread use of different types of batteries across 16 of the largest U.S. utility service territories. "The coverage is vastly larger than any similar study attempted previously," said Ryan Hanna, a study co-author and researcher at UC San Diego's School of Global Policy and Strategy. The reason residential batteries could worsen emissions is that people looking to reduce their electricity costs typically draw power from the grid when it's cheapest — which, in many locations, means electricity from coal and other fossil fuel sources. Also, households that use batteries draw more power than they actually need and use energy when delivering stored power, increasing emissions, the study said. For the dynamic to change, utilities need to alter their rate structure so that electricity is costlier for customers during the times of day when the grid is relying heavily on the dirtiest fuels, Hanna said. A carbon tax or general "tariff reform" among utilities would lower the carbon footprint of the technology, the study said. "Storage operation that has the goal of decreasing emissions means that it is charged when the cleanest power plants in the region are producing power and discharged when the most carbon-intensive power plants are producing power," Hanna said. With policies in place to ensure that, home storage systems could help reduce emissions by 2.2 to 6.4 percent on average, according to the study. However, the monetary incentive that households would need to receive from utilities to become CO2-neutral currently ranges from $180 to $5,160 per metric ton of CO2, depending on the fuel mix in a given location. Some utilities currently offer "time-of-use" tariffs where customers are charged different prices for electricity at different times of day, but those programs are the exception. Some states are starting to push the issue. In 2019, California's major utilities will begin enrolling residential customers in TOU programs as a default, as part of the public utilities commission's effort to meet climate goals, Hanna noted. Massachusetts and other states have looked at "clean peak standards" that require utilities to use some low-carbon energy during high demand periods. Storage advocates say the study demonstrates the need for wider use of the technology, not less. More storage would facilitate greater use of intermittent renewables, which would lower the U.S. greenhouse gas profile overall and decrease the likelihood of emission increases, they say. In a blog post this summer, Jason Burwen, vice president of policy at the Energy Storage Association, said that creating a price signal for storage to charge with low greenhouse gas generation would minimize or avoid the problem of higher emissions. "Further, even a modest increase in wind and solar installations can offset GHGs," he said. "Increasing storage deployment will enable new and broader opportunities for a cleaner supply mix, as well as enable the better use of existing generation," Burwen added. Earlier research also concluded that energy storage systems could spike carbon dioxide emissions, but tended to look at grid-scale storage and the impact in specific regions. In March, researchers at Rochester Institute of Technology found that adding 3 gigawatts of storage in the Midcontinent Independent System Operator, which operates the Midwest's transmission, could increase emissions by the equivalent of adding more than 6,000 cars to the road annually. An 8 percentage point increase in use of wind and solar in the region could reverse that (Greenwire, March 5). Use of residential batteries grew exponentially this year. In the third quarter, residences added almost 50 megawatt-hours of residential storage, more than all of 2017 combined, according to the Energy Storage Association.